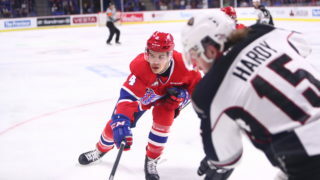 SPOKANE, Wash. — The Spokane Chiefs advanced to the WHL’s Western Conference Final after a 2-1 victory in game 5 of their second round series with the Everett Silvertips on Saturday night in the Spokane Arena. 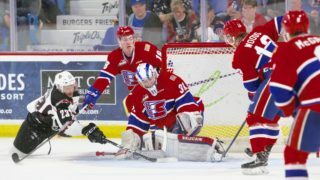 Spokane won the series 4-1 and will face the Vancouver Giants as two of the WHL’s final four teams remaining alive for the Ed Chynoweth Cup. 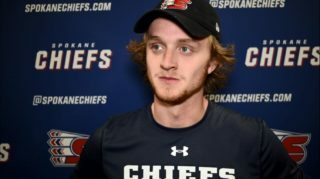 Everett claimed a 1-0 lead 1:32 into the first period when Robbie Holmes capitalized on a 3-on-2 break and fired one past Chiefs goaltender Bailey Brkin from the left circle. 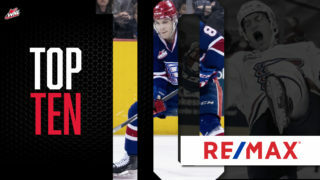 The Chiefs answered back to tie things 1-1 when Nolan Reid’s half-swing one-timer from the top of the left circle deflected in front and found the back of the net on the Chiefs’ first power play opportunity of the game. It was his first goal of the postseason. Spokane broke the tie at 5:24 of the second period when Ty Smith slipped the puck through the slot to Riley Woods who was waiting at the right post to deposit one home with another power play tally. The Chiefs were outshot 13-5 in the frame, but headed into the final intermission with the 2-1 lead. 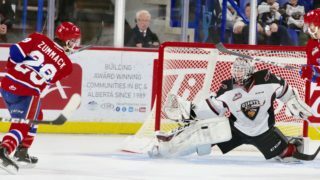 The Chiefs played lock-down defense throughout the duration of the third period, led by strong goaltending from Brkin, who reclaimed the lead in WHL playoffs wins at eight. Brkin turned away 16 Silvertips shots in the final period, including several with Everett on a power play for the final 3:27 of the game. Brkin was 34-for-35 in the net for Spokane, while Everett’s Dustin Wolf ended the night 19-for-21. The Chiefs went 2-for-5 on the power play and the Silvertips were held 0-for-2. 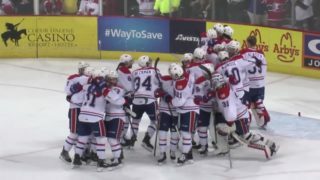 Spokane will advance to face the top seed out of the Western Conference, the Vancouver Giants, in the Western Conference Finals. The series opens play Friday, April 19 in Vancouver for two games before the series returns to Spokane on Tuesday, April 23. Tickets are on sale now online and will be available over the phone at 509-535-PUCK and in-person at the Chiefs’ Ticket Office beginning at 9 a.m. on Monday.